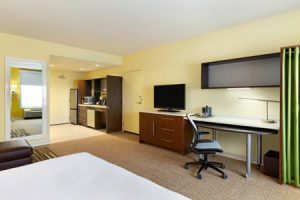 Edmonton, AB, June 1, 2016 – SilverBirch Hotels & Resorts is pleased to announce that Home2 Suites by Hilton® West Edmonton has been recognized with the Edmonton Mayor’s Award for accessibility. 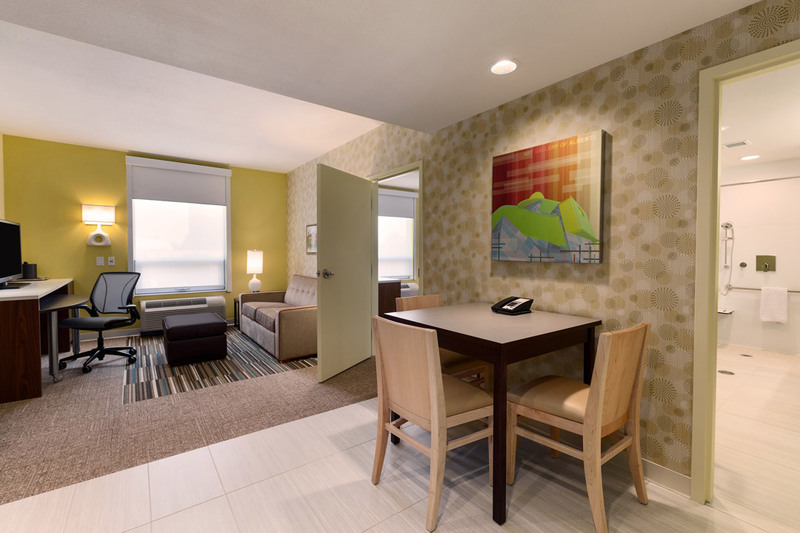 Home2 Suites by Hilton® West Edmonton provides guests with the option of a fully accessible room. 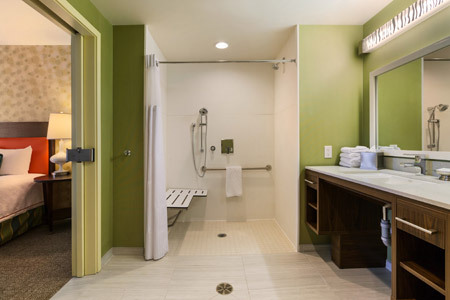 Upgrades to enhance the suites include larger washrooms with the option of a roll-in shower or bathtub to accommodate wheelchairs, lowered kitchen cabinetry with space for guests in wheelchairs to easily wash dishes or reach cupboards. The layout of appliances are also designed for accessibility, such as removing the microwave from the higher cupboard space and placing it on the counter. The Mayor’s Awards recognizes those who make significant contributions to Edmonton’s livability for all, and shines a spot light on innovations in accessibility. The awards recognize businesses in Edmonton who use creative methods to ensure the dignity and inclusion of persons with disabilities.